[Singapore, 1 April 2019] HUAWEI, the world’s second largest smartphone manufacturer, has announced the launch of the third annual HUAWEI NEXT-IMAGE Awards. Visual creatives from around the world are now invited to submit their entries from today until 31st July 2019 to compete to become NEXT-IMAGE finalists and have their work judged by a panel of world-class photographers, curators, and visual artists. The 2019 HUAWEI NEXT-IMAGE Awards will provide HUAWEI smartphone users with a gallery where they can showcase their best work to a global audience. Now in their third year, to date the Awards have seen over 550,000 entries from over 130 countries – helping to establish them as one of the world’s most popular smartphone photography contests. HUAWEI is well-regarded for its mobile photography innovation, and its flagship smartphones are known for their cutting-edge technology and best-in-class cameras. Building on this to mark HUAWEI’s continuous pursuit of the ultimate image-making experience, the NEXT-IMAGE Awards were created in 2017 as an important part of HUAWEI’s overarching NEXT-IMAGE Plan to redefine visual expression and culture through more professional and intuitive smartphone cameras. 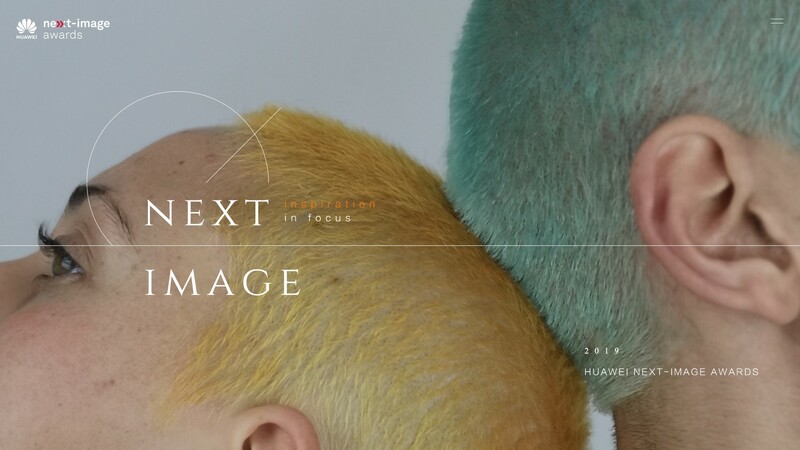 The 2019 HUAWEI NEXT-IMAGE Awards are broken down into six categories: ‘#Emotion Tag’, ‘Hello, Life!’, ‘Faces’, ‘Going the Distance’, ‘Life Now’ and ‘Storyboard’. While three of the categories from 2018 remain, there are three new ones which will add an extra dimension to the Awards this year. They are ‘#Emotion Tag’ which is about expressing instant emotions by means of smartphone photography; ‘Going the Distance’ which is about discovering new places and new experiences by using new features found in a phone camera, especially zoom features; and ‘Life Now’ which is about filming a story in less than 30 seconds. There will be one Grand Prize winner who will win US$20,000, the latest HUAWEI P30 Pro smartphone, an opportunity to attend the NEXT IMAGE Awards ceremony at Paris Photo 2019 and a winner’s medal or certificate. Additionally there will be six best-in-category winners (each winning US$6,000, a HUAWEI P30 Pro smartphone, a medal or certificate, and an opportunity to attend the Awards ceremony) and 50 runner-up prizes (each winning a HUAWEI P30 Pro smartphone). In Singapore, participants who submit their photos before 31st May 2019 will stand a chance to be invited to a private mobile photography workshop with renowned celebrity photographer, Russel Wong, who has spent months using the HUAWEI P30 Pro. The exclusive session will be conducted in June 2019. The judging panel has also been expanded in 2019 to include a jury of world-class photographers, curators and visual artists. Among them are four Magnum Photographers which include the highly respected Alec Soth who is returning to the jury for his second year, and three newcomers in the form of Bieke Depoorter, Gueorgui Pinkhassov, and Steve McCurry. They are joined by Liu Heung Shing, a Pultizer-winning photojournalist; fashion photographer and artist Erik Madigan Heck; Li Changzhu, Vice President of Handsets Product Line, HUAWEI Consumer Business Group; and Andrew Garrihy, Chief Marketing Officer of Western Europe, HUAWEI Consumer Business Group. For the second year running, HUAWEI will also be displaying winning NEXT-IMAGE Awards works as part of a wider exhibition during the annual Paris Photo, a leading international photography fair. Last year’s NEXT-IMAGE exhibition showcased over 5,000 photos taken with HUAWEI phones by professional photographers and amateurs from all around the world and went on display in Paris, Beijing and Shenzhen. The call for entries ends on July 31st, with winners being announced on September 9th, and the 2019 HUAWEI NEXT-IMAGE Awards ceremony happening at Paris Photo 2019 in November. For more details, please refer to the official awards website at http://gallery.consumer.huawei.com/en/; and follow the official Instagram account at www.instagram.com/huaweinextimage/.